A strawberry with polka dot pattern. 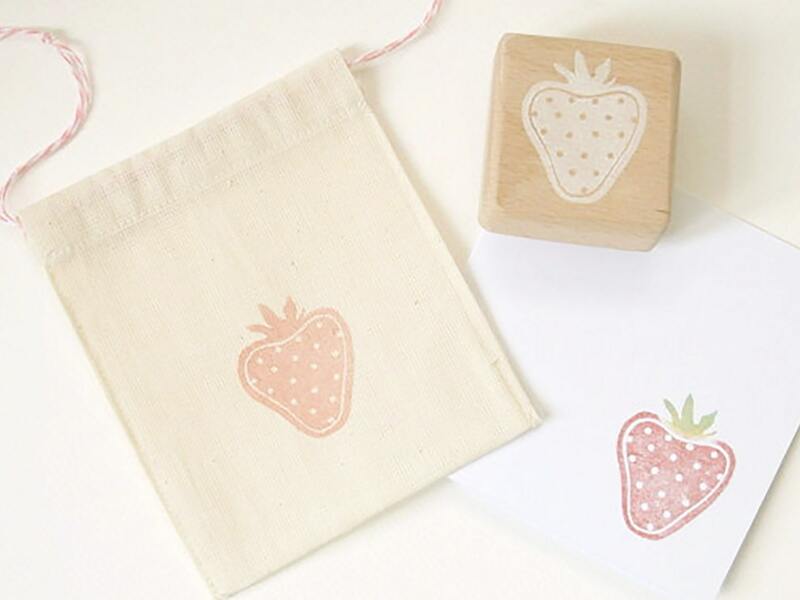 Ideal for decorating gift wrap and cards, this juicy strawberry design is so versatile. It can be used on its own or as part of a repeat printing pattern. It would look lovely on summer party invitations or wedding cards. 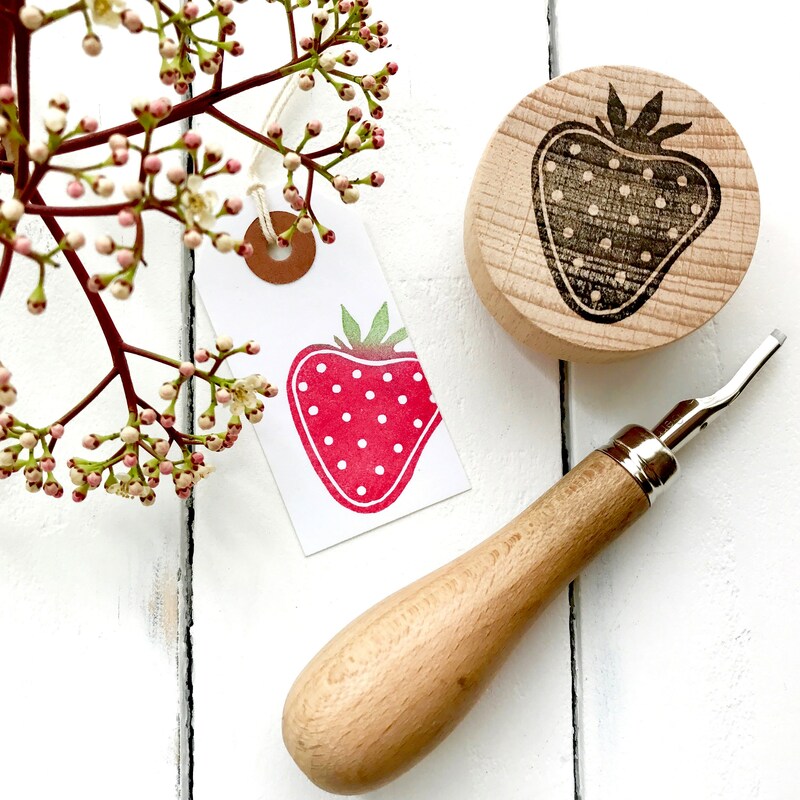 Every stamp comes pre-inked and print tested, then wrapped in tissue and packaged in a protective cotton bag, making it ready to give as a gift, and keeping the stamp free from abrasions. 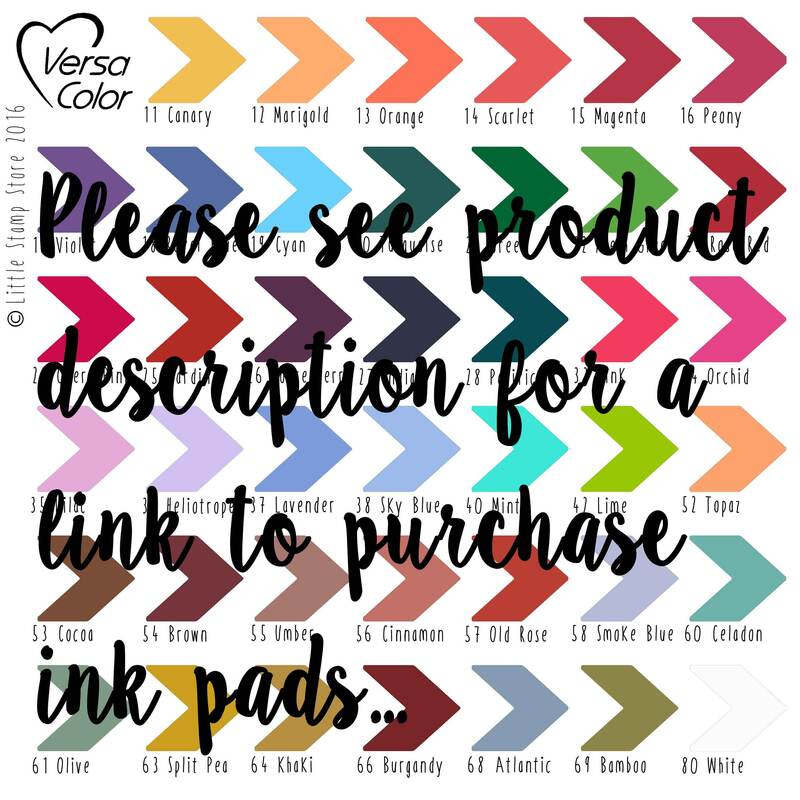 Ink pads are available to purchase with your stamp; please see seperate listing for available colours. Fabric ink is also available; please ask us if you'd like to see the colours. If you'd like a variation on this design, or if you'd like a stamp making in any design at all, please contact me via the 'ask seller a question' button with your request and we can discuss exactly what you're after. Almost anything is possible – I can carve stamps for personal use, business logos, etc. The stamped image of the strawberry measures approximately 4cm. 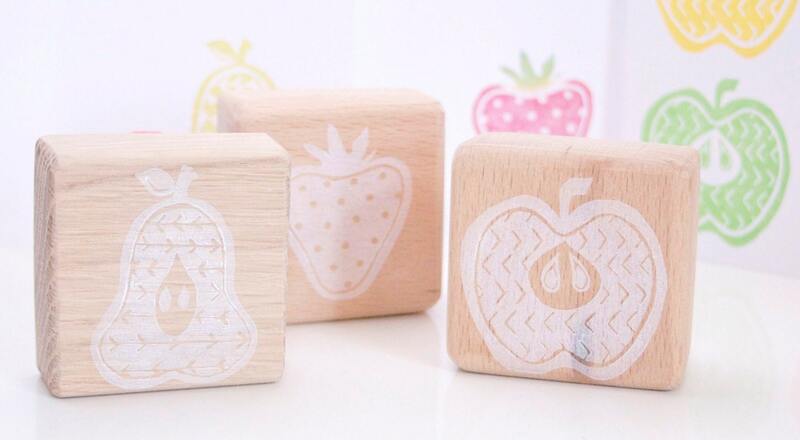 The rubber stamp is mounted to a wooden block.